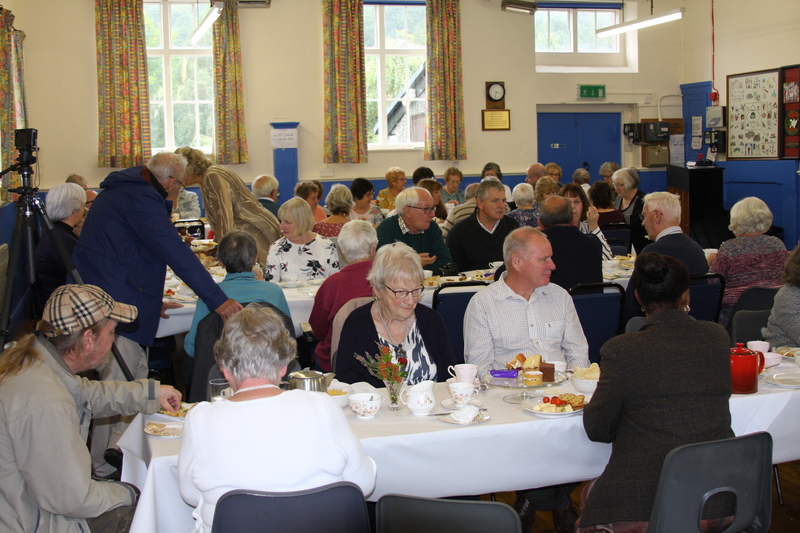 On Sunday afternoon, 16th September 2018, we held a retirement tea party for our long-time organist and choirmistress, Joan Upton-Holder. We, and she, are not sure exactly how long she had been organist at St Aelhaiarn’s but believe it to be at least 17 years since around 2001, having previously played the organ in many other churches from a very early age. Joan had also been a sometime bellringer at St Aelhaiarn’s. 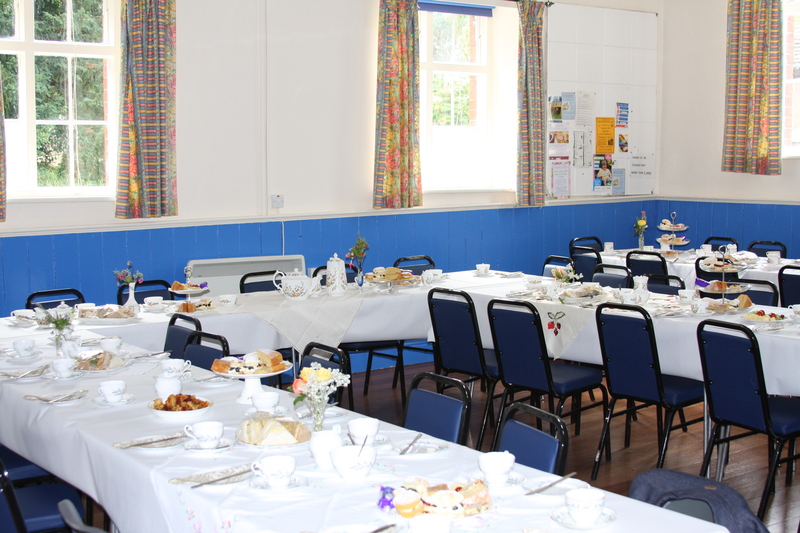 We were treated to a splendid afternoon tea in the Old School with a wonderful array of homemade sandwiches, nibbles, cakes and pastries to tempt our appetites, all served on bone china and tea in china tea cups. 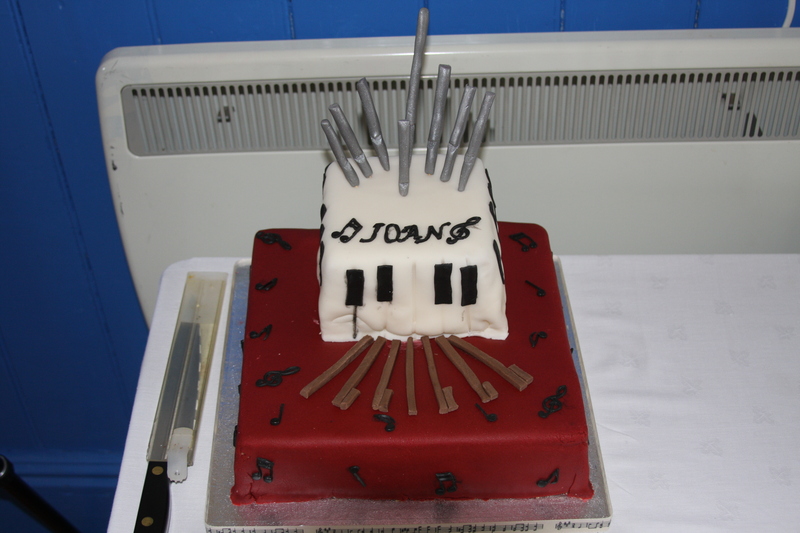 Joan was also presented with an organ-themed cake to complete the tea. 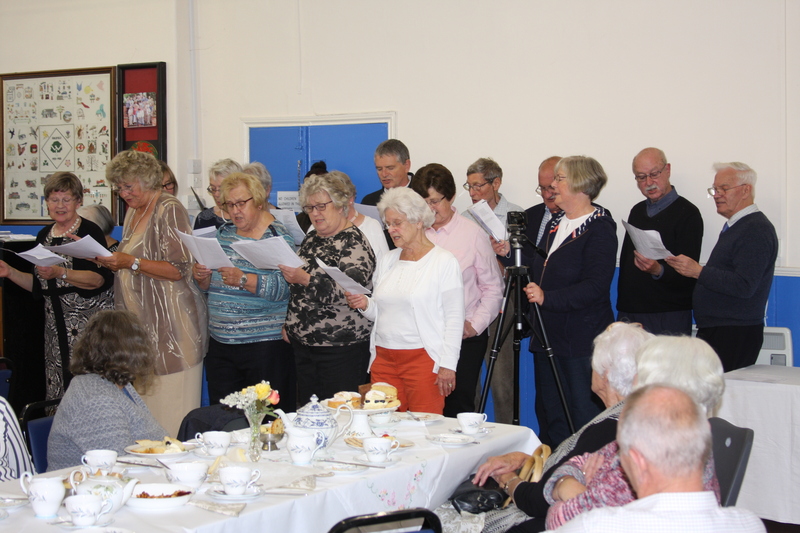 After we had all enjoyed our fill, the church choir treated us to a rendition of several popular tunes with alternative words written by Joan for various Choir and Bellringers Christmas Parties or Church Events over the years. The musical tribute was completed by a moving performance of ‘The Blessing of Aaron’. 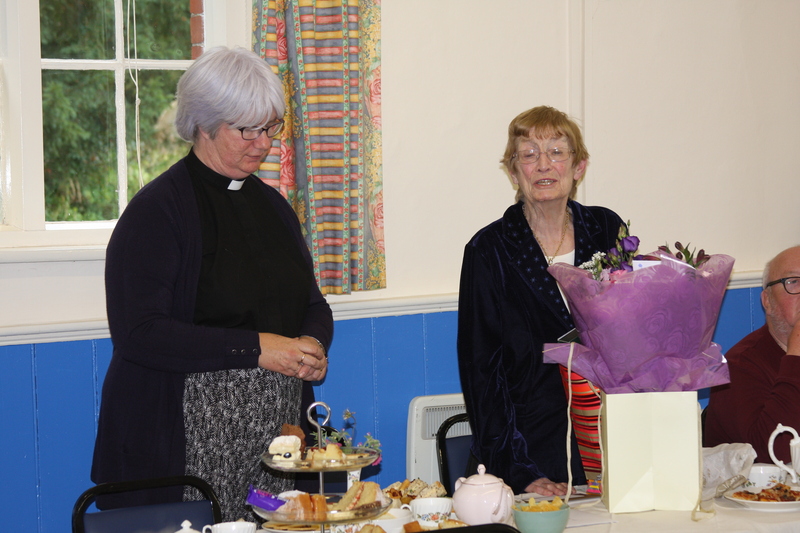 Finally, Maud Griffiths, one of the Church Wardens, presented Joan with a number of gifts on behalf of St Aelhaiarn’s congregation and friends, as well as one from the Mothers’ Union. We wish Joan and Roy all the very best in their retirement. 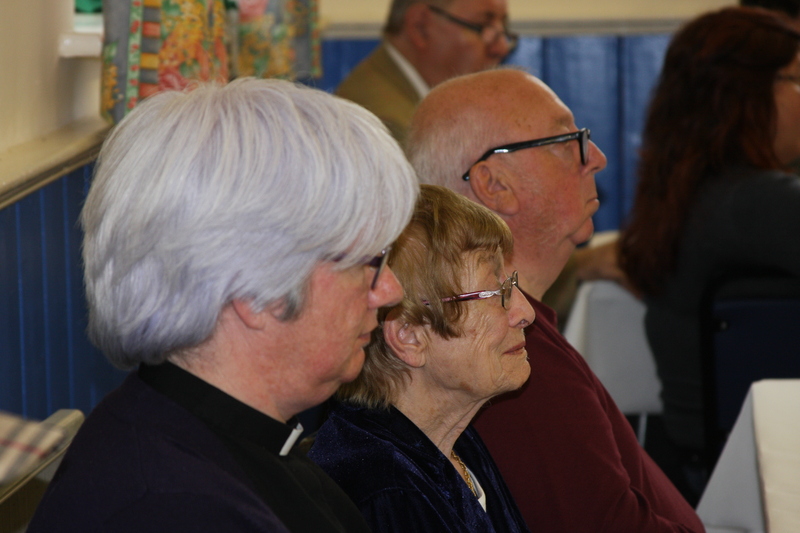 A further selection of pictures and video clips from the party can be viewed here (new videos added).